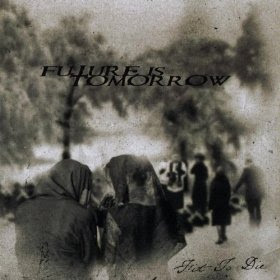 Hall of the Mountain King: Review: Future is Tomorrow, "Fit to Die (Part 1)"
Review: Future is Tomorrow, "Fit to Die (Part 1)"
The full-length debut from Italy’s Future is Tomorrow certainly shows some promise, if not much innovation. It’s a concept record that looks at a funeral through the eyes of the deceased, and apparently only the first part of the concept. On a positive note, Future is Tomorrow plays a brand of power/prog without a lot of shameless showing off, which I appreciate. I’m of the school that the song should come before virtuoso performances. On the down side, the band sticks with a lot of very common power/prog themes. It’s very well done, but there’s not a lot of variation from song to song. One of the more interesting elements of Fit to Die is the use of a male choir on the several songs. They first appear on second track, “Another Soul,” offering a chant to open that moves to a surprisingly upbeat guitar riff. They’re back again on “All For You,” this time with some electronic sounds and power chord punctuations that are quite interesting before the band reverts to the more typical prog/power gallop. Finally, they pop up again on “Stories to Tell,” a slower number with a heavier synth presence. 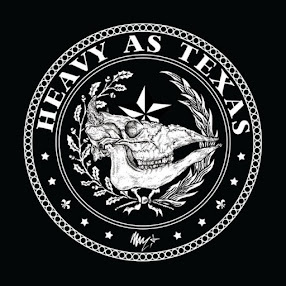 As usual, I prefer when the band treads heavier territory. The title track is one of my favorites, opening with a charging guitar riff that drops off into a very cool groove riff that’s the best on the record. It does veer back into the standard prog territory a little with a lot of Rush influence on the verse, but it’s still solid. “Awakening the Ghosts” opens with one of the heavier riffs. The guitars are a little chunkier on this song, and some growled vocals from guest Alberto de Rech make a brief appearance here. Those return on “Save Us, Source of Mercy,” which also features one of the more aggressive deliveries by regular vocalist Max (no last name given). At this point, though, I’m really wishing they would make more use of the gruffer vocals, as I like the interplay in a set of songs that’s otherwise fairly squeaky clean. As if they’d read my mind, they deliver on album closer “The Day of Retribution.” After opening softly with some dark symphonic string sounds and nice clean guitar work, it moves into heavier territory with Max and de Rech trading vocals on the verse. That section reinforces my feeling that they should use the technique more often as it brings a completely different feel to the sound. As I said at the start, the music on Future is Tomorrow’s debut is very well played and put together. The guitar work of Michael Snidaro and Paolo Furlanis is good, and drummer Fabio Tomba, who is also the creative force behind the concept, and bassist Matteo Campo Dall Orto lay down a solid foundation. Max’s vocals are quite good, if a little predictable. I can certainly recommend Fit to Die for fans of the style. I only wish that the band would take a few more chances here and there and do something that I haven’t heard before. Review: Witches Mark, "A Grim Apparition"
Review: Day of Fire, "Losing All"
Review: Rob Zombie, "Hellbilly Deluxe 2"